PHOENIX, ARIZ. - The national law firm of Quarles & Brady LLP announced that Benjamin D. Tietgen has joined the firm's Phoenix office as an attorney in the Intellectual Property Group. 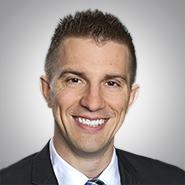 Prior to joining the firm, Tietgen worked at Etherton Law Group, LLC in Tempe, Arizona. His practice focuses on the preparation of patent applications covering inventions in a variety of industrial and technological fields. Tietgen's experience also includes drafting and negotiating IP asset licenses and assignments and developing IP portfolios for independent inventors and emerging companies across a broad range of high and low technologies. He received his law degree from Arizona State University College of Law and his undergraduate degree from the University of Missouri.